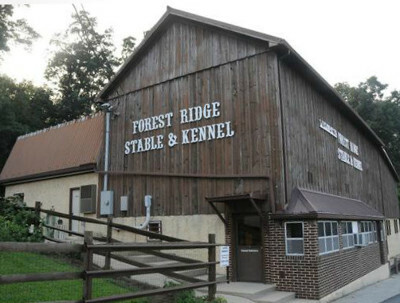 Forest Ridge has been a family operated business at the same location, original owners and the same name for more than 30 years. We take great pride in bringing your family together with the right puppy. We feel with our expertise and knowledge of different breeds, we can make a great recommendation for your next companion. Our puppies are all raised by Private Breeders in our area, whom we have been associated with for many years. **We are not a puppy mill, nor do we associate with any puppy mills**. The breeders we deal with are like family, and raise their puppies with love, care and socialization. We work closely with our breeders to ensure no pups are interbred, and that they are very careful to only breed dogs that are free from genetic problems. We only provide pups from parents that have a great disposition to ensure they will make a good member of your family. All puppies have their first and second set of shots, are dewormed with Panacur 3-day dewormer, and are vaccinated with injectible and nasal vaccines to prevent kennel cough, Parvovirus, Distember, Adenovirus type 2, and Parainfluenza. We have on call Veteranarians available 24 hours a day so our puppies can be treated immediately if the need arises. We guarantee the health of all of our puppies. We are available for any questions before and after you adopt your puppy, and we will do everything we can to make your adoption a great experience, giving you personalized attention in every way.